*Here in New York at the Crosby Hotel to promote his latest film, “Taken 2,” Liam Neeson let it be known his character in the film is still taking no prisoners when it comes to protecting his family. 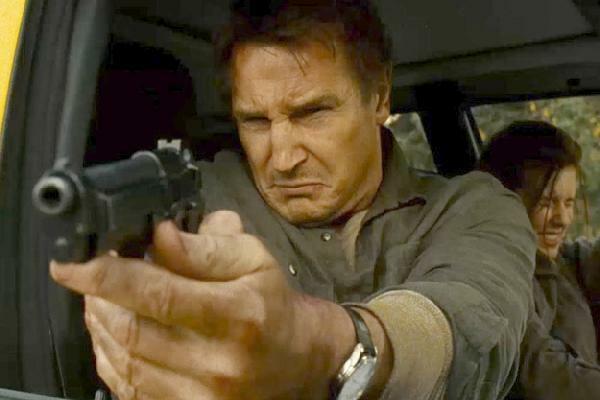 “Taken” is the biggest film of Neeson’s lauded and vast career. With that in mind, The Film Strip asked the 60 year-old actor why he thinks his ex-CIA operative character with a “set of very special skills” has resonated in such a huge way? “Listen, we all belong to families,” he explains. “We all know how important family is, myself included. You’ll do anything for your kids. So I think that tapped into something in people. Before talking to Neeson, I basically asked “Taken 2” director, Olivier Megaton, the same question. In the unique story, ‘Butter,’ contenders compete in a butter carving contest that unleashes the wrath of one particular participant, Jennifer Garner (Laura Pickler) when she feels threatened by Yara Shahidi (Destiny). At a press conference recently The Film Strip asked cast members what were their initial thoughts upon receiving a script that dealt with butter carving? JENNIFER GARNER: My producing partner, Juliana, and I got a hold of this script before it was even on the black list. I think the reason all of us are here is because the script let us do something different than we’d been allowed to do before. That’s why you have such an incredible cast. And I loved that kind of the hero of the movie was going to be this unknown (she looks at Shahidi) surrounded by all of us praise whores looking for a way to do something we hadn’t done or to stretch ourselves in some way, but that really it comes down to this little lady. Little did I know we’d spend the next three years corrupting this sweet child, but we do our best…and so here she is, Yara Shahidi. YARA SHAHIDI: When I got the script my mommy read it first and then I read it, but there were some parts that I did have to skip over, I was 10 at the time [Laughs]. When I did read it I really loved it, I really, really liked it when I saw it. I still had to skip over some parts. OLIVIA WILDE: I loved the script from the moment I saw it and I wanted to fight for it and I was so thrilled when everybody else passed. I really loved it, I thought it was so funny and so smart, and then when I heard all these people were involved I couldn’t get to it fast enough. I almost didn’t get to it because I was stuck under the volcanic ash cloud in Vienna. I was willing to swim across the Atlantic to get there though, so I’m very happy it all worked out. Jennifer, this was quite a stretch for you. Could you talk a little about this role? JG: I play a lot of pretty girl next doorish kinds of characters and I am a girl next door in real life, and I am sick of myself. I am so over it. I don’t want to see another simpering smile. I’m done. So this to me was heaven on Earth, except that she is not to be emulated in any way and she’s a heinous person. But as far as relating to the ambition and the competitiveness, I think it stretches it for me. I don’t think that I am ambitious in this way really. But I will tell you, there’s a moment in the movie where Olivia Wilde looks at me and she goes “I’m going to cut you.” And every time she did it, I kid you not, I had a flight thing in my body where I felt like ‘run’! She was terrifying. And she may say, ‘Oh it was really hard for me to do.’ It wasn’t hard for her to do. She went right for it and she could have killed me in that moment and many others. OW: I think that was also our first day of shooting, so it really set the tone. Were there any adlibs in the scene in the car? YS: That was fun. It was a lot of improv. Every second we’d like cut, then all of a sudden we’d have a completely different scene, completely different thoughts, completely different what we would say. It was really funny. ROBB CORDDRY: That was definitely my favorite scene to shoot because there was a lot of improv, but in a way that was so collaborative. Like Jim [Field] was throwing out a lot of lines, Jason [Micallef] was throwing out some lines, we were both coming up with lines. It was really fun to think of the scariest, yet silliest thing possible. And also, it’s just not hard to act with Yara. It’s very easy to do a scene with her. JG: We all competed with each other for Yara’s attention. If Yara ever had anything to say we would all say, ‘Oh, Yara’s speaking.’ And it’s obviously still very much that way. But I’m sitting next to her. RC: Yeah, but we get to switch halfway through you said.